The following are some of the many questions we get, and you as the customer should be asking. 1.) How much experience do you have? 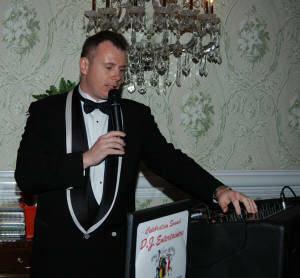 Mark Steven Mroz, President and CEO of Celebration Sound D.J. 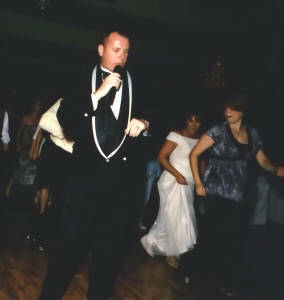 Entertainers started as a disc jockey in February of 1981 at the young age of 13, where he entertained hundreds of people every weekend at a local roller skating rink in Philadelphia. At the age of 16, he started entertaining elementary and high school dances and private parties. He then started his own business in September of 1984, known at that time as M.S.M. Disc Jockeys. In October of 1984, he entered a "Battle of the DJ’s" competition which over 500 people voted and unanimously selected him as the winner. Mark decided that he needed a more memorable business name and changed it in 1988 to Celebration Sound D.J. Entertainers. 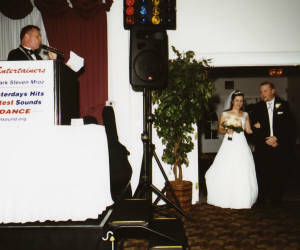 In 2009, Mark was selected by more than 45,000 people who voted and named him as winner of "Philadelphia’s Best Wedding DJ" in the Fox 29 news, My Fox Philly Hot List DJ contest. 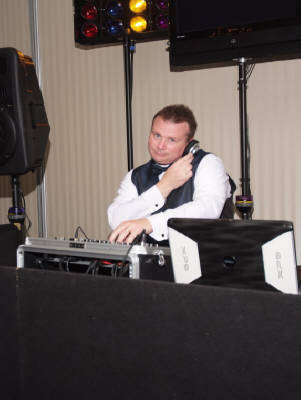 In 2010, Mark was selected for the second consecutive year by more than 93,000 people who voted and named him as winner of "Philadelphia’s Best Wedding DJ" in the PHL 17 news, My PHL 17 Philly Hot List DJ contest. In 2012, Mark was selected for a third time out of four consecutive years by more than 118,000 people who voted and named him as winner of "Philadelphia’s Best Wedding DJ" in the PHL 17 news, My PHL 17 Philly Hot List DJ contest. In 2014, Mark was selected an unprecedented fourth time in six years by more than 90,000 people who voted and named him as winner of "Philadelphia’s Best Wedding DJ" in the PHL 17 news, My PHL 17 Philly Hot List DJ contest. 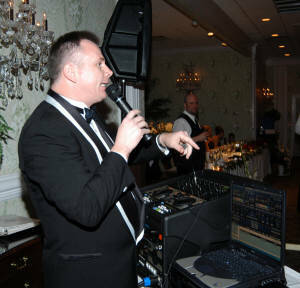 He is the only Wedding DJ in Philadelphia to accomplish this many wins in such a short time span! Now with more than 35 years of entertainment experience, he continues to be one of the most popular and well respected DJ’s in the Philadelphia area. 2.) How do you dress? Weddings are always formal wear for us, we dress to impress and take pride in our appearance. We dress semi-casual (dress slacks, shirt and tie) for our less formal events, and casual for events such as a Hawaiian luau, block party or pool side parties. 3.) Do you carry backup equipment? Most entertainment companies use a person known as a runner, if the entertainers equipment fails they will phone or page this person and they will bring a replacement piece to your event. This could take up to an hour or more, could you imagine in the middle of your wedding or event what your guests will do while waiting for this piece of equipment to arrive. Our entertainers go one step further, because time is everything to an event, we bring backup equipment with us to every event so you and your guests could be back dancing in just a few minutes. Obviously because of limited cargo space we cannot bring two of everything, but two of the items most likely to fail, such as an extra CD player, mixer, microphone or amplifier. All of our equipment is state of the art, and replaced about every two years for reliability and to keep up with the ever changing technology of today. 4.) If I cancel or postponed my event, what will happen to my deposits? Because we will be holding a specific date and time for your event, which other potential clients may have wanted and were told the date was no longer available, we cannot refund your deposits due to cancellations or postponements. We will make every effort to accommodate you with rescheduling for another date within a reasonable amount of time if we have the date available. 5.) Is it easier or cheaper to use the hall or in house DJ rather than hiring a professional DJ company. No, it is not easier and sometimes not worth what may be saved. Most hall or in house DJ’s work for the catering establishments who basically hand the work over to them every week, Remember their primary job is food service and should not be involved in your selection of entertainment. These type of DJ’s are not looking for repeat customers, most but not all have limited experience or they don’t feel like moving their equipment around or dealing with the clients, and if anything goes wrong the caterers deal with it. The trade off for this is much cheaper pay because the caterer takes a portion of what the client pays for the entertainment. And for the customer it usually shows in this type of entertainer’s performance. One of our customers told us of the horror story of their wedding. They had chosen the entertainment provided by the catering establishment because they thought it was one less thing they had to do and it was cheaper. It was the worst thing they could have done. "Hardly anyone danced; the DJ seemed bored and did not try to motivate the crowd. He hardly talked and did not have any of our songs we had requested, and stated that the caterer never provided him with their request list. When our guests would requests songs, he basically blew them off with a smile. When I look back at what we sacrificed over what we saved it was not worth it". Is this the type of entertainer you would want to have at your next event? Yes, we are fully insured with $2,000,000 worth of insurance and will provide your catering facility with a copy of our insurance certificate upon request. 7.) When will you arrive to setup? We arrive at least 60 minutes prior to your event to complete our setup. If an expanded sound system, lightshow or video show is required, we will arrive 1½ to 2 hours prior to your event. Breakdown usually takes about 30 minutes. 8.) How soon before the event should I book my entertainment? 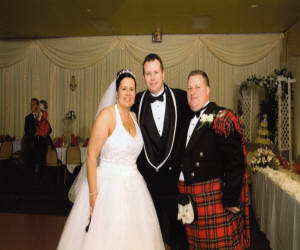 Normally we suggest as soon as you book your catering facility or banquet room. As with catering facilities, this should be done twelve to eighteen months prior to your event. As always we can also handle your last minute entertainment needs, just give us a call and we will check our availability.